This charming push 'n play turtle is a baby walker and baby activity center in one! 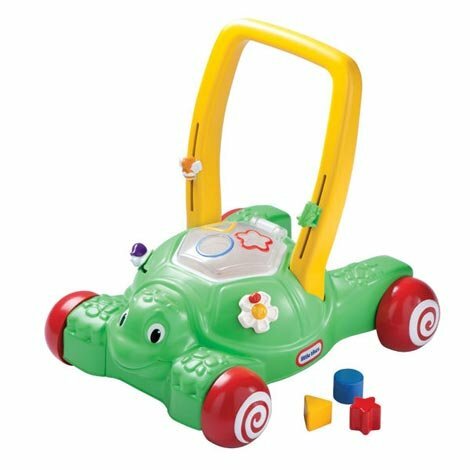 Introduce shapes and colors to your baby with this walker. The adorable turtle design is friendly and comforting. The wide base and easy-to-grip handle helps keep your little one stable. Makes fun popping noises!